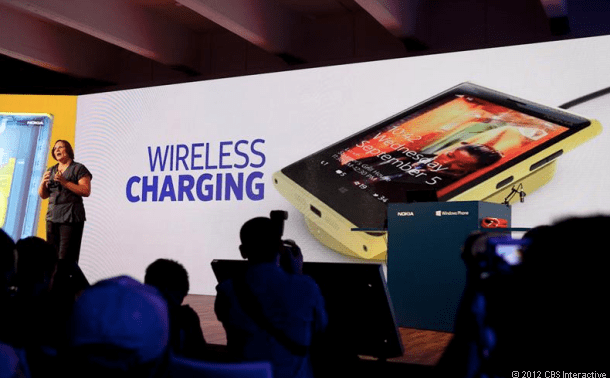 The Qi wireless charging standard has been adopted by Nokia for its Lumia 920, letting you juice up the phone with any compatible wireless charge. Nokia’s Lumia 920 can be charged wireless using Qi technology. Look, no wires. Nokia’s new Lumia 920 smartphone can be charged wirelessly thanks to its own built-in technology. Qi, the wireless charging standard lets you place your phone on any compatible charger whenever it needs a boost in power. Designed in cooperation withWireless Power Consortium co-founder ConvenientPower, Energizer unveiled the first-generation Qi Inductive Charger in 2010. The Qi standard is now supported by a collection of carriers, service providers, and other companies striving to use the same technology to charge any supported device no matter where you are. Any phone with the right built-in technology can be charged via Qi, notably theLumia 920. The Lumia 820 can also be energized via a Qi charger but requires a special wireless charging shell. Nokia has already signed deals with Virgin Atlantic and the coffee chain Coffee Bean and Tea Leaf to set up wireless charging stations in airport lounges. Nokia is also working with other companies to offer home wireless charging accessories, including a dedicated charging dock. The Lumia 920 is equipped with a 2,000 mAh battery, which Nokia says will get most users through an average day.